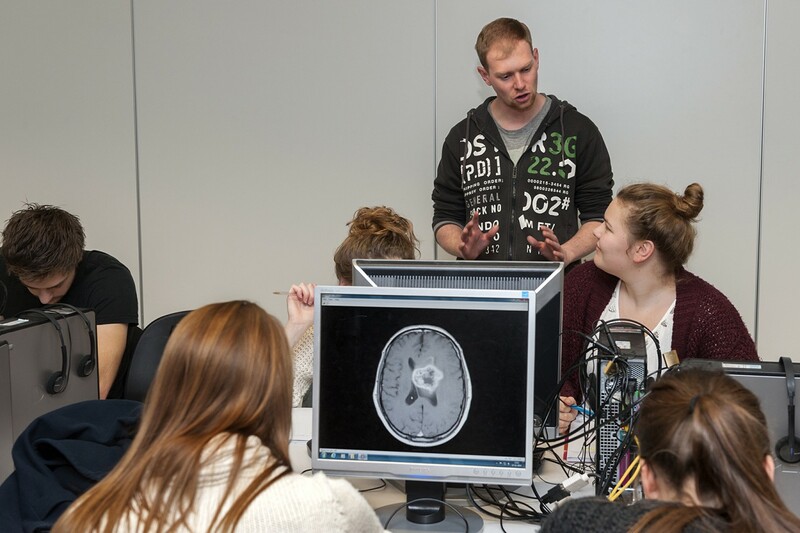 MRISIM is a tool to help students understand MR imaging. It provides a virtual MR scanner, that produces images according to the settings the student selects, by using density, T1 and T2 data of real MR images. It also allows for the construction of DTI and fMRI images. MRISIM was developed at the Donders Institute for Brain, Cognition and Behaviour, Nijmegen, the Netherlands, by dr. Thom Oostendorp. MRISIM is distributed under the terms of the Creative Commons GNU general public license.